After a disastrous launch of Portland’s leaf removal program the year before – without explanation, the city started charging residents for a service that had always been free – the city asked my firm to relaunch, help explain and build momentum for the program. 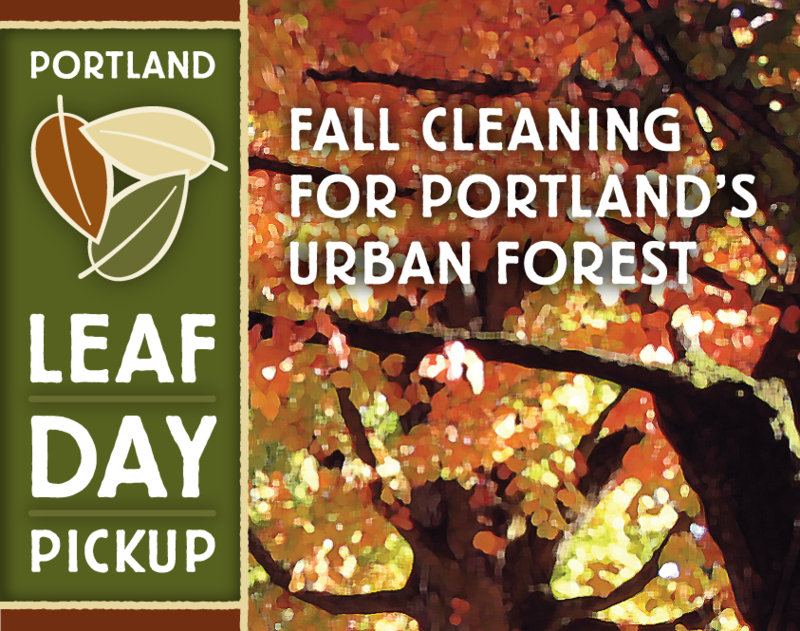 I renamed the program “Leaf Day,” emphasized the value of our urban forest and, therefore, why Portlanders should invest in it. With designer Cat Cheng, I created a logo and identity for the program, and created all the program materials for the first year, including brochure, door hangers, a poster, and one of the best online resources about the benefits of urban forest on the internet. Our logo for Portland’s Leaf Day gently evokes the ecological cycle at the heart of the program and wraps it in a cozy, Craftsmany blanket. 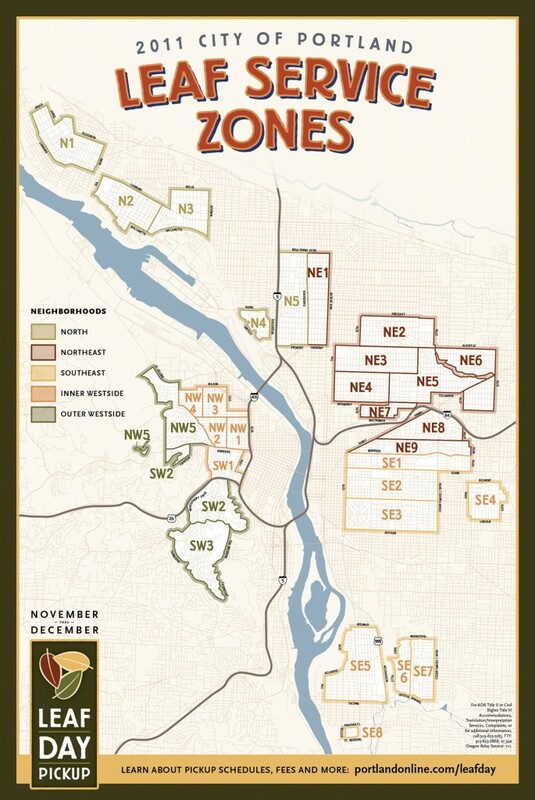 Our spiffy poster showing all the neighborhoods Leaf Day services. 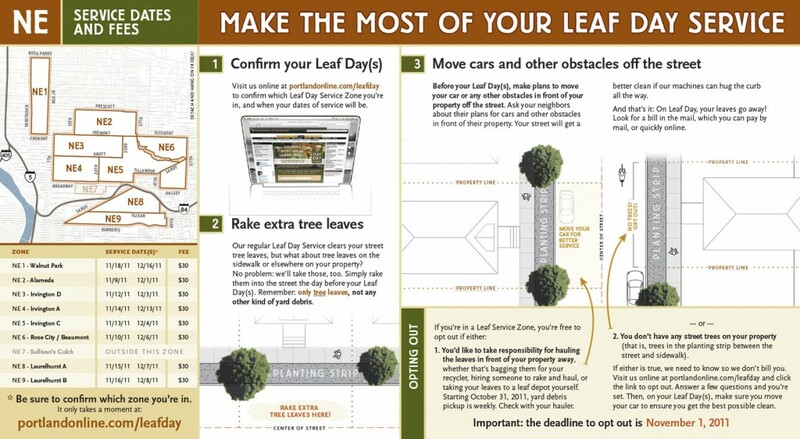 Well before Leaf Day itself, every homeowner gets a mailer with instructions and tips to get ready. The mailer includes the dates of service in each section of the city, tips on how to make the most of the service, and how to opt out if you’re eligible. If you’ve told the city you’re eligible to opt out of the program, but inspectors discover you aren’t, they leave this friendly but clear door hanger about what you need to do to play your part.